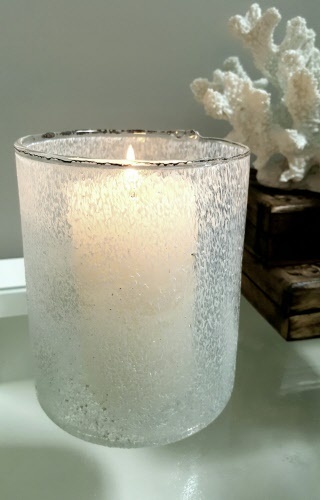 Glass votive with white sea spray effect. 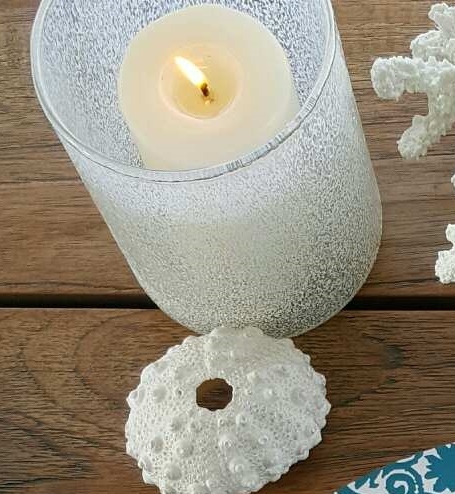 Gives off an amazing glow at night or a beautiful Summery vibe to an outdoor table. Glass 10cm wide x 12cm high.